I am often asked my opinion on real estate values across Tallahassee, and Betton home sales certainly ranks among the Tallahassee neighborhoods requested most frequently. As popular Northeast Tallahassee neighborhoods situated inside of I-10, the Betton subdivisions (Betton Brook, Betton Estates, Betton Hill, Betton Hills, Betton Oaks, Betton Place and Betton Woods) offer homeowners a place to live that is convenient to the heart of Tallahassee and is only minutes from downtown. Currently, there are 18 homes for sale in the Betton Neighborhoods. Not surprisingly, the graph above shows that the distressed rate for Betton home sales is on the decline, and the past year's average has fallen to just 8%. When we look at the Betton home sales graph below, we see that home values had declined more than 30% since the peak of the market, but recently have stabilized to a level roughly 24% below peak market values. 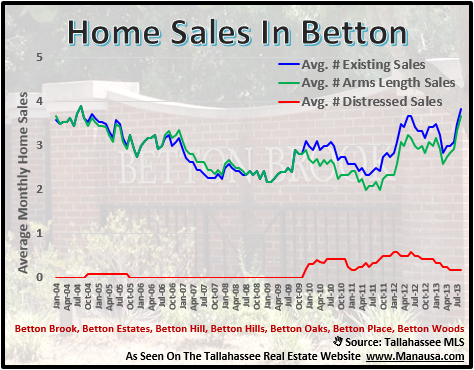 It is important to understand that the graph above shows "arms length" values over time, thus the distressed sales (which have surged as high as 25% of all Betton home sales at one point) are not included. Therefore, a new surge in distressed homes offered for sale in the Betton neighborhoods could very well bring values back down again. 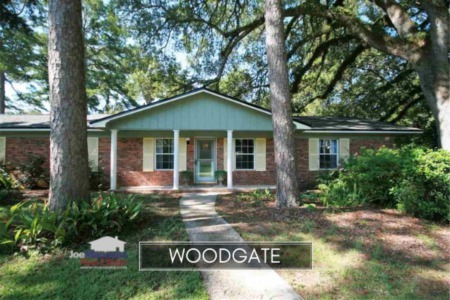 We are not yet out of the woods in this real estate market recovery, but Betton home sales will likely continue to beat the market due to the highly desired location of these favored neighborhoods. The following table shows Betton home sales in the Tallahassee MLS going back to 2003. It includes a search box that will help you find specific homes or streets or neighborhoods. If you like this new feature (a sortable table for recent home sales), please comment in the box below the post. 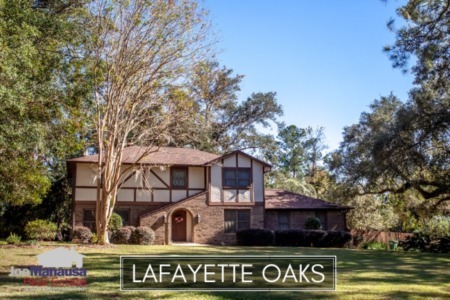 I hope you gained the information that you were seeking about Betton home sales, and if you have a home to sell in the Betton neighborhoods, you can drop me a note to schedule a time for us to review your best marketing options.